Bad news toy hunters – there’s more new toys out in the wild! 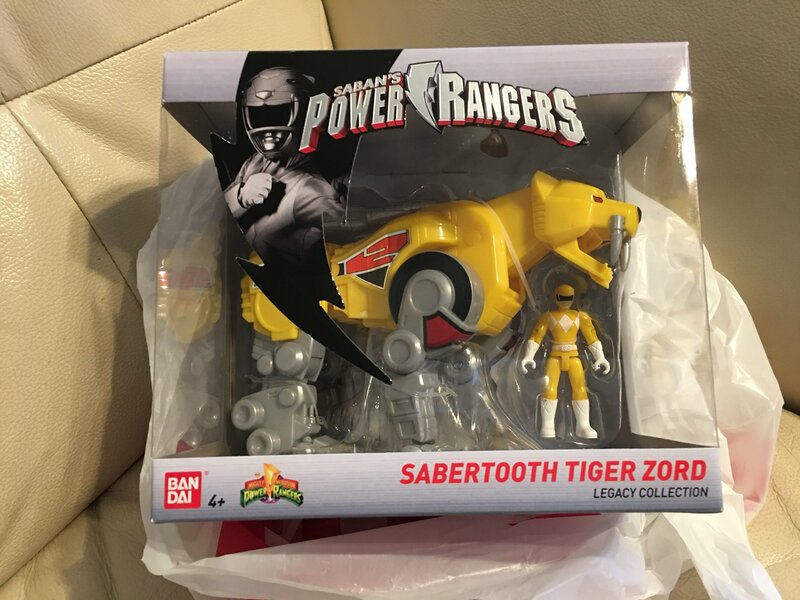 Found by @salcipriano on Twitter at a Target store is none other than the Legacy Mighty Morphin Power Rangers Sabertooth Tiger Zord. As you may remember, these are articulated versions of the original Dino Zords and do NOT combine in to the Megazord. 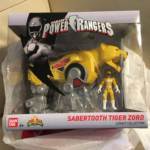 The first assortment contains the Sabertooth Tiger Dino Zord as well as the Tyrannosaurus Dino Zord. Happy hunting at Target stores! For what it’s worth, their reset is January 7th so if you strike out today, head back then! Why does it look cheap or like a figure for younger kids? I was thinking the same thing. I'm down with the idea of a highly-articulated version of the zords that can't transform, but in practice it looks like an overpriced kids toy. I swear the original pictures looked better than this. it does have a certain Dollar Store Knock-Off quality to it. Honestly, guys? Blame the retailers. I talked about this on my Twitter/Thanks Tokunation staff for confirming this - But Bandai is honestly not to blame here as it's the retailers who continually ask for more MMPR products to sell as they don't have faith in other seasons selling barring the current season of the TV show & Bandai can't really say no on the matter so, it's a catch-22 "damned if you do, damned if you don't" scenario here. If you ask me, all the major retailers need to have a sit-down & watch some In Space, Lightspeed Rescue, Time Force, DinoThunder, SPD & the other seasons to understand that despite MMPR being the most iconic, it's not the best season of the show. Now onto the toys at hand? I don't hate them. I don't have the cash for the SOC Daizyujin and I certainly can't find the Imaginext Sabertooth anymore/eBay isn't an option for me. I know it's not the same thing, but I don't think people went nuts & demanded the Revoltech Transformers figures not be made because they couldn't transform or anything. I don't think it's the retailers we have to worry about, it's the people that buy the toys. Nostalgia rides high with folks and since geek culture is becoming a thing, they'll rely more and more on that nostalgia when they make purchase decisions. While I don't really like it, I can't fault BoA for trying to cater to the masses. Same here. Also, MnemonicSyntax? It's been AGES since I've heard from you/I remember you on RangerBoard & DeviantArt. But yeah, I honestly don't hate these things. Just give me a few hours and I'll turn these things into museum-worthy pieces.